When it comes to your personal or business finances, Milledgeville State Bank has you covered. From the basics like checking and savings accounts to CDs, IRAs and Online & Mobile Banking, Milledgeville State Bank has the services available to help you customize your financial management and work toward your goals. Checking & Savings Accounts- The basis of your personal or business finances, your checking and savings account are your two most important financial tools. Milledgeville State Bank offers checking and savings account with varying features to fit a variety of needs. CDs- A safe and secure option for growing your money over a period of time, CDs at Milledgeville State Bank come with competitive interest rates and a wide selection of terms. IRAs- Looking to save for retirement? An IRA from Milledgeville State Bank gives your money a place to grow until you are ready to retire in style. Debit Cards- Make your purchases quickly and easily with a debit card tied to your Milledgeville State Bank checking account. Online and Mobile Banking- take your banking to the next level of convenience with Online & Mobile Banking from Milledgeville State Bank. Rec-Check- a personal account system in which you receive a monthly income and expense report in addition to your bank statement. Direct Deposit- get your paychecks or Social Security checks deposited securely into your Milledgeville State Bank account. Safe Deposit Boxes- sizes and fees are as follows: 3x5 ($12 annual fee), 3x10 ($30 annual fee), 5x10 ($40 annual fee). Bank Money Orders- customers are able to mail payments securely for a small fee. Club Checking members may purchase money order at no extra charge. Wire Services- outgoing and incoming wire transfers are available for international and domestic use. Coin Counting- wrangle up your loose change and bring it in to be counted and deposited to your account. Illinois Secretary of State License Renewal Stickers- simply bring in your renewal form and we can get you a new sticker for a small $5 fee. Faxing- we provide a fax machine for the public to use at a small fee for each page faxed. Trust Services- Ensure the safety of your future and loved ones by contacting Dan Nederhoff, President. 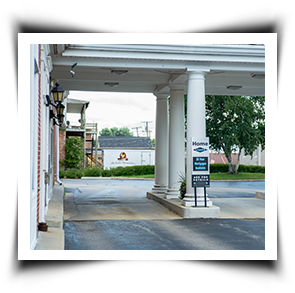 To learn more about deposit services at Milledgeville State Bank, contact the bank directly or stop by next time you’re nearby!